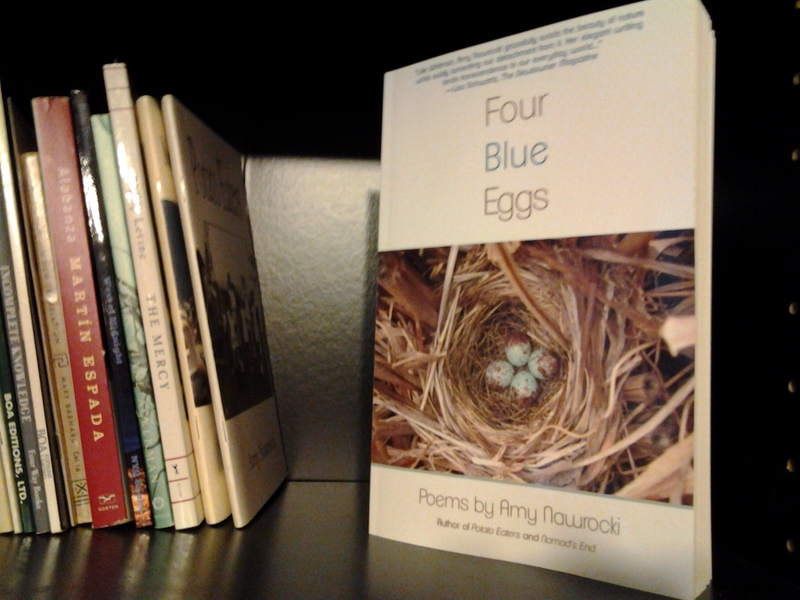 Thanks to Homebound Publications and Goodreads, you can win a signed copy of Four Blue Eggs. It’s signed by me, of course.Click either of the two links above. 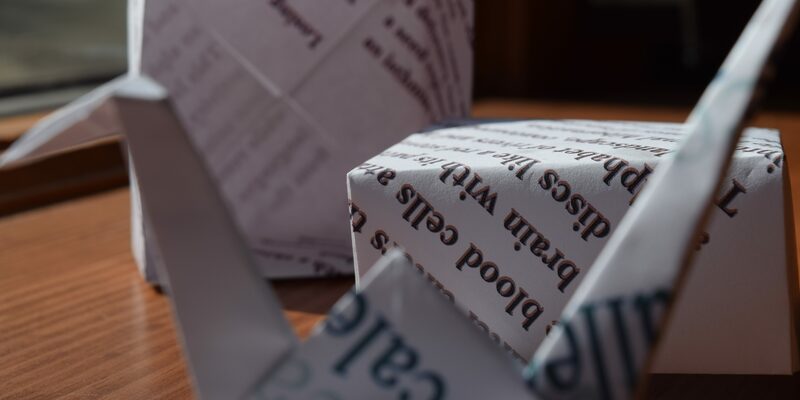 Support small, environmentally conscious publishers and the readers who love them and the writers who need them. Sign up today, and while you’re at it, add some (all?) of the other great titles to your book bag. “As if she were a weaver at her loom creating a tapestry of Four Blue Eggs, Amy Nawrocki threads the death of her mother into poems that navigate the tension inherent between the heart and mind created by “the mind’s insufficient wiring.” Written with a lyrical but unsentimental voice, Nawrocki crisscrosses generations by describing tactile memories like peeling parsnips during January while “iglooed” from the cold. Each poem is underpinned with the tenderness Nawrocki displays in a powerful poem, “Threads,” where she keeps the cat from waking her mother while she is choosing a dress for her cremation. You can review all of Vivian’s books on Goodreads. Order them through your local bookseller like Byrd’s Books in Bethel.